fintech companies in wealth management not helped by SEBI? The great fintech boom of all time is all around us. It is in payments mostly, with bitcoins, blockchains serving at the esoteric end. It is globally opined that the automated advisory, wealth management will change how millions access financial advice. The independent global majors – Wealthfront, Betterment and Personal Capital, together have assets under management of USD 7.6 bn as of last year– but as big as they are they are a tiny drop in the ocean in the US mutual fund industry of USD 15.9 tn and ETFs of USD 2 tn. In India, we have several home-grown players such as www.finmitra.com, of which I am founder. The really awesome thing is that we should see a revolution in how people are investing – because now suddenly credible, qualified advice is online – so you no longer have to deal with unknown characters – who may not have the experience or professionalism you seek. Most advisors offer recommendation into mutual funds, as they are the only non-traditional investment avenue that can be easily accessed by millions of retail customers and has professional fund managers. With the payments revolution, cashless transactions and e-KYC, online investing in mutual funds should become a snap and the industry will achieve much greater heights from here. However, in my opinion the industry certainly can’t reach its full potential unless some grave mis-steps are corrected by the regulator. I’ve tried to layer my arguments about the challenges the industry is facing. 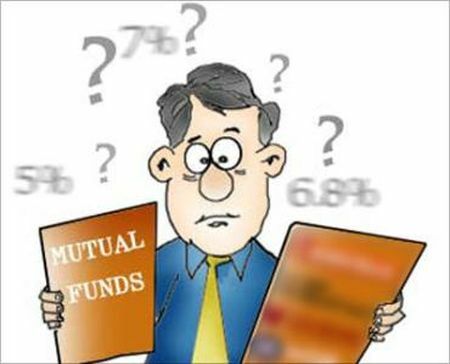 Most people in India, know nothing about mutual funds, except the often heard warning, “Mutual fund investments are subject to market risks. Please read the offer document carefully before investing.” In fact, the product is plagued by retail customer’s ignorance, half-knowledge, and apprehensions. Thus, customer interaction, education and reassurance is essential. In this context, moving to a fully online model is impossible, as the customer has to be hand-held. Customer education thereby unavoidably adds to the cost structure of the distribution industry. Advisory fee is also fundamentally more expensive (vs. commissions) for the middle-class SIP customer. Let’s take an example, a very low advisory fee Rs. 1000 for 1 year. To make Rs. 1000 as commission, assuming 0.5% p.a trail, the distributor needs monthly SIP of Rs. 32,000. If the commission were 1%, the monthly SIP amount is Rs. 16,000. Given that mutual funds are discretionary investments that are purchased only after the customer has acquired FDs, RDs, the first home and the second real-estate investment, most clients are unable to afford Rs. 15,000 – Rs. 35,000 monthly towards mutual fund investments. Thus, commissions are far more benign to the middle class investor than advisory fees. That brings me to the next point, the wealthy customer and certainly the HNI customer is more savvy when it comes to investment options, and they understand the value of paying advisory fees. For a wealthy customer, Rs. 25,000 as advisory fee is nothing when the AUM is Rs. 1 crore. For HNI customers whose portfolio runs into several crores, advisory fees is a hygiene they shouldn’t quibble about. It’s obvious now, why the clientele of the financial advisors is largely only the wealthy- because only they are willing and able to pay the fees and appreciate the service. Is there a way ahead for the mutual fund distribution industry? Typically, as they say, financial products are sold and not bought. Financial products are boring and require the customer to do their home-work before they buy, and (in this culture of consumerism) offer no gratification. So, education and nurturing the sale is an essential part of customer acquisition. Some financial services industries, like insurance, are structurally better and offer sustainable incentives to their distribution network and arguably, is that why insurance penetration is higher than mutual fund penetration? Whereas the mutual fund distribution network is plagued by the regulator’s fear of conflict of interest. The expense ratios have been capped, thereby ensuring the commission pay-outs of various mutual fund houses are in the same range. Yet, the regulator continues in persisting to micro-manage the imagined conflict of interest, and now is in danger of throwing the baby out with the bath water. Today, a stand-alone mutual fund distribution organisation which caters to the middle class, cannot grow organically into a large player and recover its investment. In fact, even all the funded new gen players who have started with online mutual fund distribution, will quickly have to diversify into other financial products – where they can actually earn a decent revenue (I’m not talking profits). Mutual funds, can be only added as an after-thought to an existing distribution platform – whether insurance, loans or fashion e-commerce. In essence, given the regulatory challenges, the mutual funds distribution industry is now dependant on other sectors for revenue and survival. Mutual funds can only be offered on the back of other revenue lines – is that what SEBI wants?